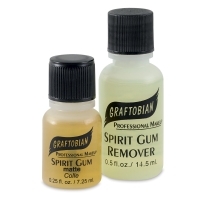 A classic theatrical adhesive, natural Spirit Gum is great for attaching prosthetic pieces to skin, lace hairpieces, crepe wool, and more. 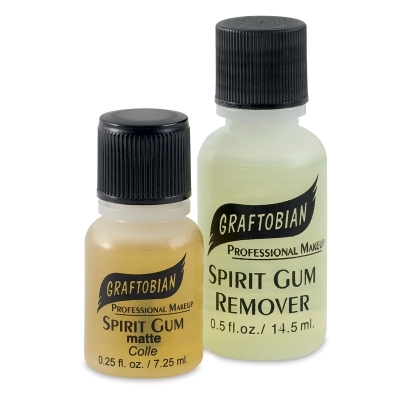 It's a quick drying, strong hold adhesive. Easily remove Graftobian Spirit Gum with the provided Remover. 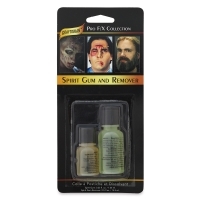 The Combo Pack includes a 0.25 oz (7.25 ml) bottle of Spirit Gum and a 0.5 oz (14.5 ml) bottle of Spirit Gum Remover.